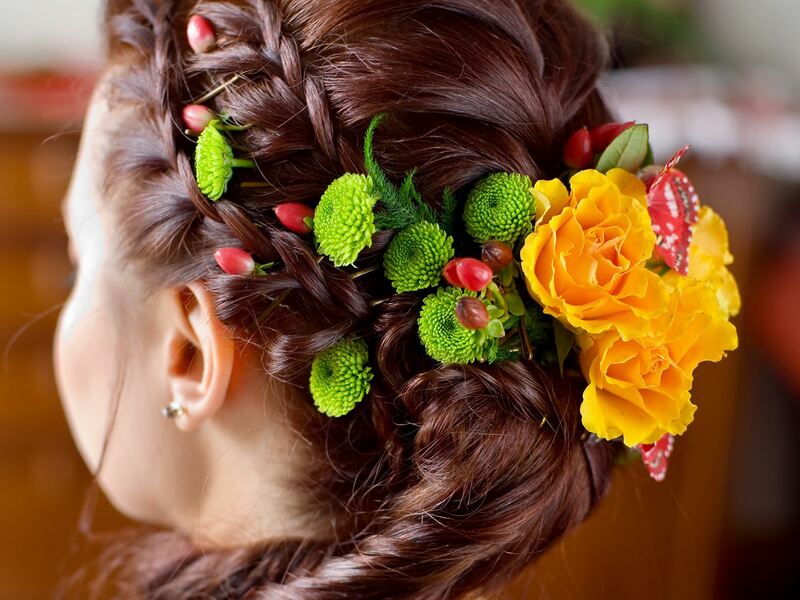 There is no better way to celebrate the sunny season than with cute flower hairstyles. Get inspired to add colour to your summer hair! 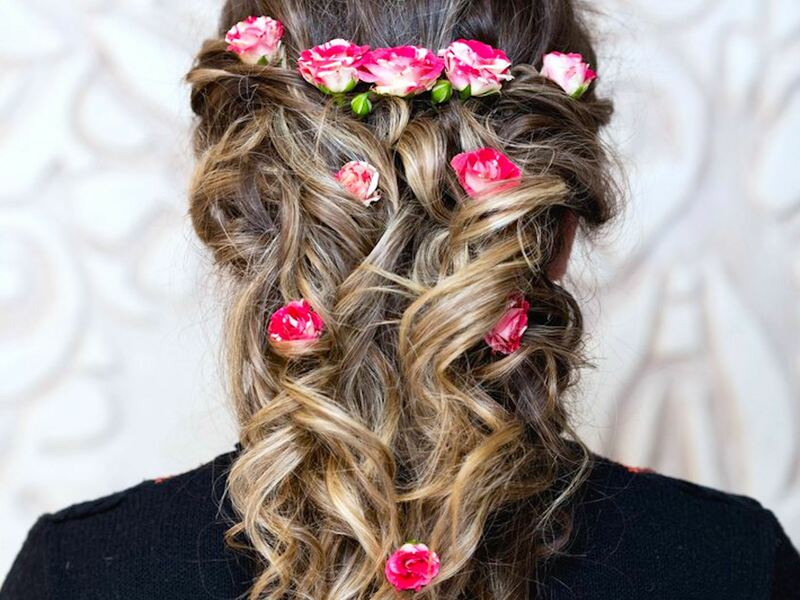 Find stylish flower hairstyles that will round up your summer style! The sun is out, the days are getting longer and you want to spend every possible minute outside? It’s summertime! You put on your summer dress, sandals and your sunglasses - but how do you wear your hair? Flower hairstyles round up your summer outfit nicely. And the best thing about it is there are so many different ways you can wear flowers in your hair. We've found a bunch of different hairstyles to inspire you this summer. Wear your hair open or braided, add a flower crown or a cute comb in your bun - there are no limits to your imagination. Beach waves are an ideal hairstyle for the warm season. You can either wear them down or put half of your hair up. And how about using some flowers to add a dash of colour? You can either use fresh flowers from the garden or plastic ones. For brunette hair, pink and yellow ones are ideal. There are many different ways to braid your hair: Fishtail Braids, French Braids, four-strand braids… But what do all of these styles have in common? They look even better when you add flowers! You can play with different colours and sizes of flowers to make your hair even more stunning. 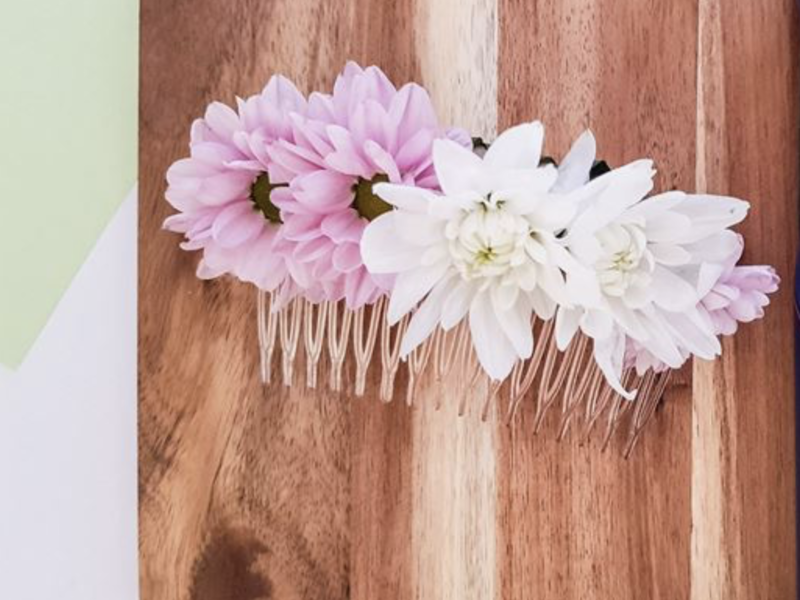 Here is a fun DIY idea for you: Create a cute flower comb to spice up your hairstyle! 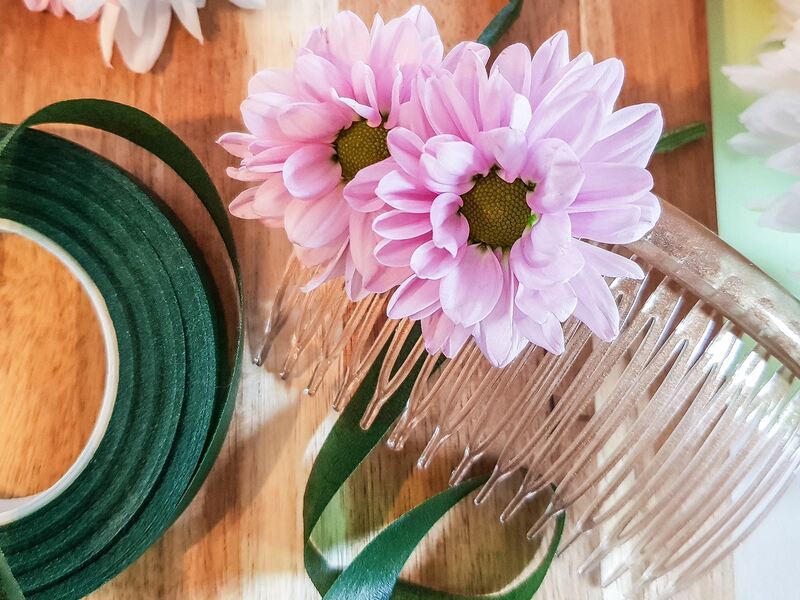 The flower comb is quick and easy to make, in just two simple steps. In the first step, you pick out the flowers you want to have on your comb. You can add as many colours as you would like! Cut the flowers right below the bloom and place them on the comb. 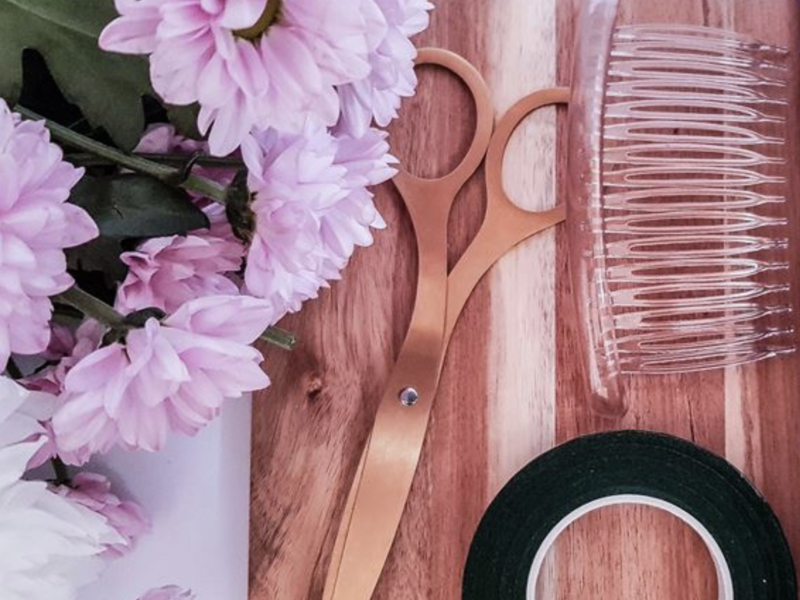 You can now weave through the teeth of the comb and secure the flower with floral tape. 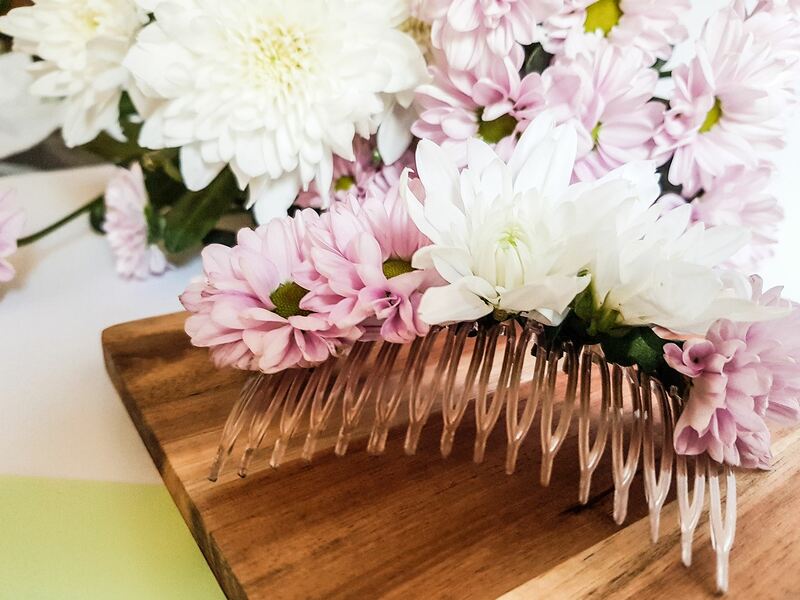 To keep your flowers from withering, use hairspray on the finished comb. This way, your flowers will stay fresh longer. You can use your flower comb for many different hairstyles. How about making a Low Bun and putting your flower comb in it? Messy Side Buns are also cute hairdos for the comb. While the flower comb is a little more subtle, flower crowns also make a wonderful summer accessory. They are a little more daring, but also very easy to make. 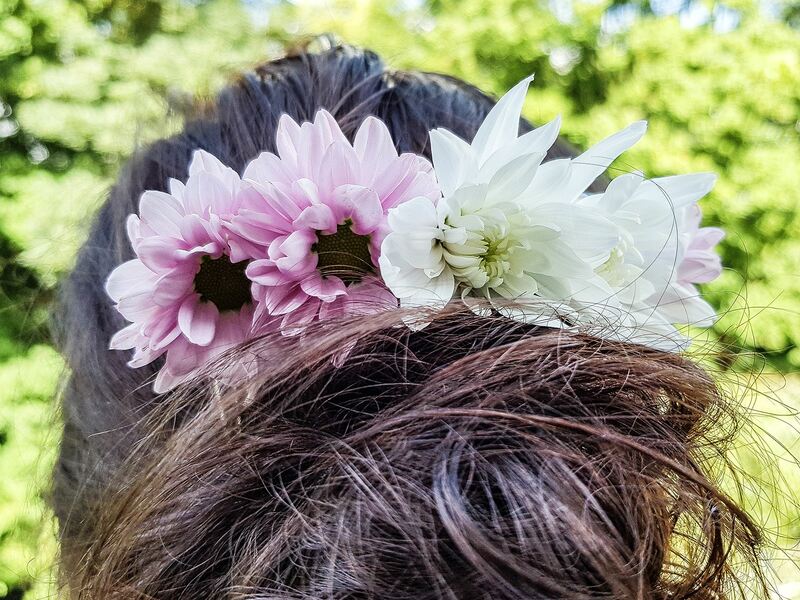 Watch this short video to find out how to create a flower crown for your hair. You’re looking for the perfect outfit to complete your summer hair? Look no further! 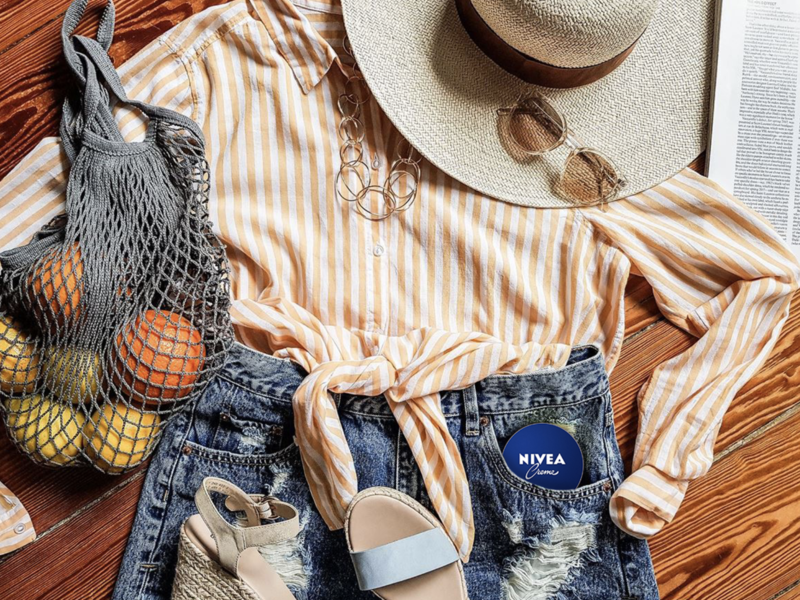 We have put together a few different summer outfits for you. 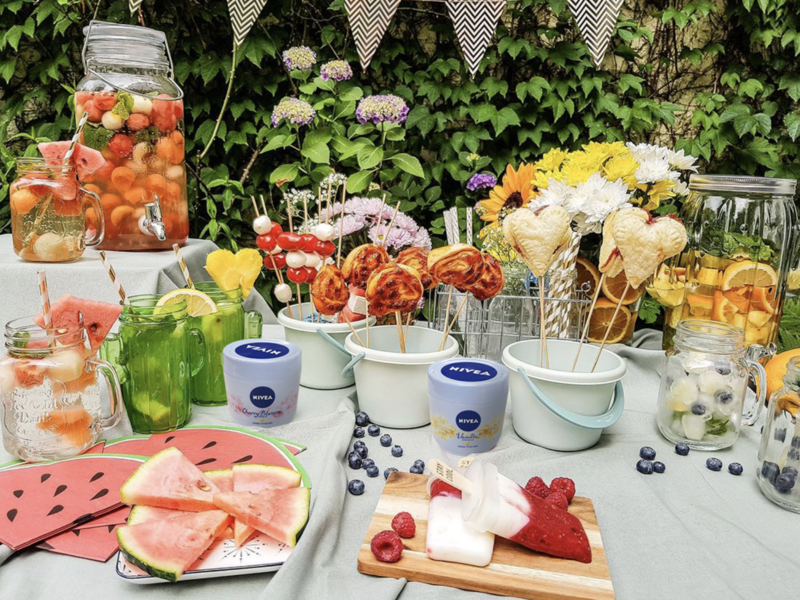 Summer is the perfect season to host a garden party! Here are some recipes for snacks and drinks, so your summer party will be a total success.